The Supreme Court bench headed by Chief Justice Dipak Misra held that Aadhaar would be voluntary, with an option to exit. The Trinamool Congress today hailed the Supreme Court judgement which struck down Section 57 of the Aadhaar Act which allowed corporate entities to access its data. "SC strikes down section 57 of Aadhaar Act, 2016. So you don't need to give your Aadhaar to private bodies like banks, schools, mobile companies. 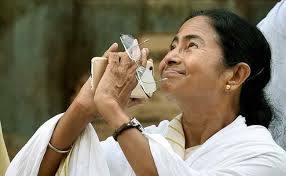 Trinamool and Chief Minister Mamata Banerjee fought hard for this," the party said in a tweet. The top court's five-judge Constitution bench headed by Chief Justice Dipak Misra said Aadhaar is meant to help benefits reach marginalised sections of the society and takes into account the dignity of people not only from the personal but also from the community point of view.